In my most recent review of the documentary Gasland, I commented that it was a must see film. The same can be said about this film, especially right now. If you want to know what’s going on behind the scenes in Washington with the current deficit reduction talks, this film will shed a little light on the subject. So what does this film have to do with the deficit reduction talks? The connection came to me while watching Anderson Cooper 360 the other night. One of the guests on the show happened to be a guy by the name of Grover Norquist. Wait a second, I thought. Isn’t this the same nutcase that was talked about in this film? Sure enough it is. Here is a guy who should be in prison right now for using a nonprofit to funnel money for an equally nefarious character named Ralf Reed. But not only isn’t he in prison where he belongs, he’s the one behind the whole “no tax” pledge that is holding up the whole works in Washington. And it gets even better. Some of the comments he made were verbatim to the comments made by House Speaker John Boehner. The guy is like Oz behind the curtain and Boehner is the big talking head shrouded in smoke. Needles to say it was an eye opener to hear this guy talking about big government and no tax hikes. He’s been singing the same song for the past twenty years. Fortunately, director Alex Gibney shows exactly what happens when you remove Government regulation. You get slave labor and environmental catastrophes. This film, however, isn’t about Grover Norquist and his tea party extremists. 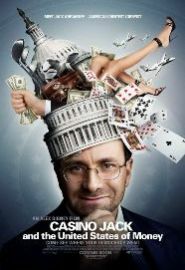 This film is about greed, arrogance, and corruption in Washington. It’s about how anything and everything is for sale in Washington for the right price. The man at the center of the film is a former lobbyist (now in prison) by the name of Jack Abranoff. Here is a guy who did some pretty outrageous things. He purchased influence in Washington through campaign contributions and perks, like expensive golf outings. He brought down Congressman Bob Ney. He also stole millions of dollars from Indian casino operators by billing them exorbitant fees. How exorbitant? How about a couple of million dollars for a couple of days work. But that isn’t all he did. He used his (purchased) influence to force his way into an offshore casino operation, which he basically stole from the rightful owner. One person whose name kept popping up throughout this film was our good friend Grover Norquist. You can’t make this stuff up, and it’s all playing out in front of our eyes right now. The director of this film is Alex Gibney. Some of his other films include Enron: The Smartest Guys in the Room, Who Killed the Electric Car, and the Oscar winning documentary Taxi to the Dark Side. I’ve seen all three of those films and each of them are five star films. This guy knows how to use the medium to tell compelling stories. The one complaint I had was with the opening of the film, which began with the dramatization of a murder. My assumption was that the person who was murdered was Jack Abranoff. It wasn’t until I listened to the audio commentary that I learned who was killed. Now it could be my ADHD or maybe I missed something when I let the dog out, but it was confusing. The audio commentary is definitely worth listening to. Alex shares a lot of insight with the many characters and story lines in the film. Keven Spacey plays Jack Abrarnoff in a film with the same name. Now that I know the real story, next on my list is the Hollywood version. Look for that review soon.